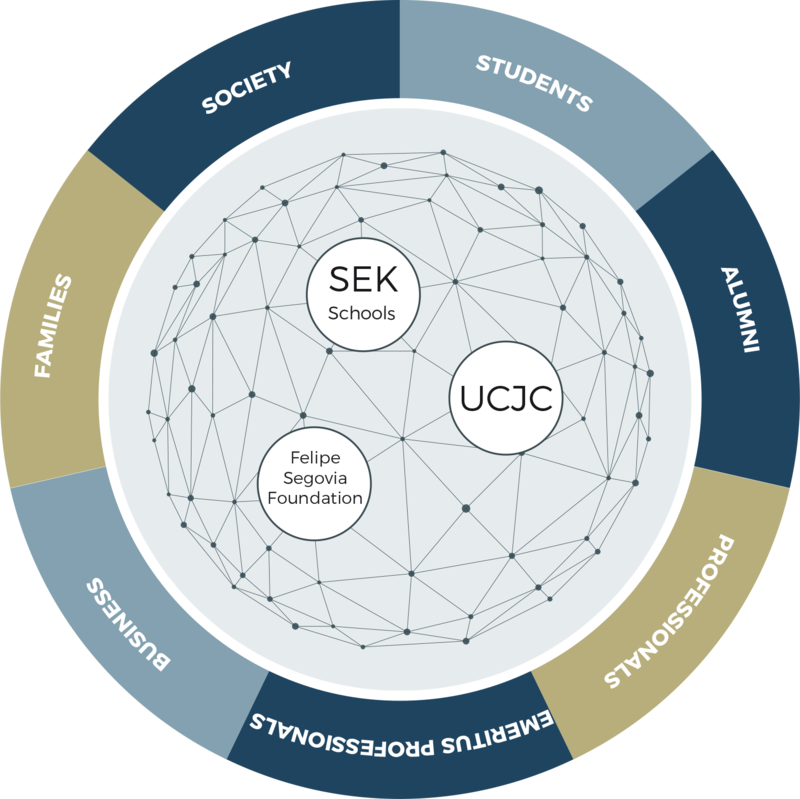 SEK Education Group, founded 125 years ago and boasting 9 international schools, one university – University Camilo José Cela– and a foundation –the Felipe Segovia Foundation–, has become a leading light in education in Spain and a industry-standard in education innovation. This is one of Felipe Segovia’s most well-known quotes and is a reflection of SEK Education Group’s story of success, the quintessential aspects of its community of learners: students, teachers and lecturers, families, former students, emeritus teachers and, of course, the society it aims to serve. This collaborative and work network strives to perfect each of its members through creating top-quality, meaningful and efficient teaching/learning processes. Ongoing training of teachers has long been one of the hallmarks of SEK Education Group, tied to its dedication to education research and innovation. In the context of the learning society, this dedication to professional development of its teaching staff takes on a new meaning. SEK schools boast a first-rate teaching team. An outstanding teaching team that is not only highly qualified and passionate but is also committed to the SEK educational model and quality education. The SEK community also encompasses other players in society through the Felipe Segovia Foundation, that pays homage to the life and work of the President and Founder of SEK Education Group.